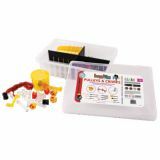 Bring coding to the classroom! 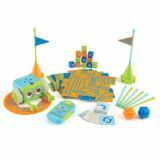 The Botley the Coding Robot Classroom Set from Learning Resources contains everything teachers need to introduce early coding fundamentals to students as young as 5. 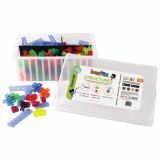 Ready to use right out of the box, Botley teaches coding lessons that grow with students' skills though 100% screen-free play—no app, tablet or phone required! 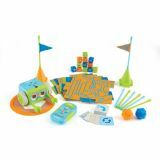 After they've mastered basic coding commands, students can use Botley's advanced features—including object detection, looping commands, and a black-line-following mode—to help him navigate his way through obstacle courses, solve chain-reaction puzzles, or travel around the classroom. 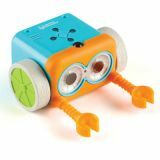 In addition to building early coding skills, Botley also helps students master logic, critical thinking, and other STEM skills. 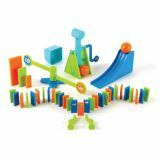 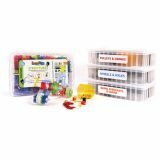 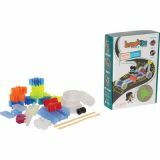 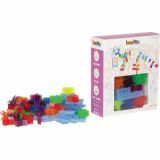 The 239-piece Botley the Coding Robot Classroom Set comes with two 77-piece Botley the Coding Robot Activity Sets, two additional 45-piece Botley the Coding Robots, and one 41-piece Botley the Coding Robot Action Challenge Accessory Set. 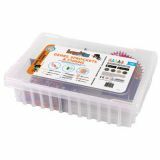 100% screen-free coding—no app, tablet or phone required!